For today’s Dear Mark, I’m taking three questions. First, I comment on Mick Dodge’s (the barefoot forest-living guy with the beard on the NatGeo show) claim that humans can thrive on 1000 calories a day. Is it true? Next, I discuss whether or not people need to worry about a distinct lack of appetite following exercise. Should they listen to their bodies or force down some food? And finally, how should a person who doesn’t want to lose weight go about a Primal way of eating? Episode #26 of The Primal Blueprint Podcast is now live, and we’re talking to Dr. Cate Shanahan. As a practicing family physician who moonlights as a metabolic consultant to elite athletes like Kobe Bryant and the LA Lakers, Dr. Shanahan has extensive experience working with people from all walks of life with every manner of metabolic dysfunction. She’s seen it all, and now she’s ready to see you – remotely. To learn more about what she’s offering with the new metabolic consulting service, The Primal Advantage, give it a listen. If you have any ideas or questions for future podcasts, please let us know by using the blue “Submit a Question” button in the sidebar! Tibetans picked up the ability to efficiently use oxygen at high altitudes by reproducing with a now-extinct line of ancient humans, the Denisovans. Sweet and spicy. Filling and refreshing. Veggies and meat. This flank steak and mango slaw with scallion oil has it all. While there’s a lot to like about grilled flank steak tossed with crispy cabbage, sweet mango and fresh herbs, it’s the scallion garlic oil that turned out to be the real star of the meal. It gives meat and veggies a spicy kick and addictive garlic flavor you won’t soon forget. 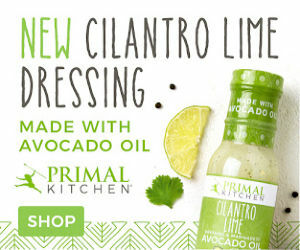 It’s a condiment you can pour over all sorts of different salads, as well as seafood, pork and chicken. Mango adds a sweet flavor to this slaw that nicely complements the spicy dressing and grilled steak, and in this small quantity is worthy of being a sensible vice but… mango is optional if you’re avoiding fruit with a higher glycemic index. A red bell pepper can add color and a little sweetness instead, if you prefer. Hello… my name is Matt and I am a recovering “reverse dysmorphic,” and I have been in recovery since 2011. “Body Dysmorphia” is basically defined as the inability to see a realistic body image of one-self. Some dysmorphics see themselves as fat, no matter how thin they get. I do not have this problem; I have “reverse dysmorphia,” in that no matter how large I get, I always think I look goooood. It’s a big day here at Mark’s Daily Apple! Today I am pleased to introduce The Primal Advantage metabolic consulting program. Finally, you can engage one-on-one with a respected medical expert aligned with Primal principles to fine tune your metabolic function. The Primal Advantage is overseen by Dr. Cate Shanahan, a family practice physician from Napa, CA, one of the leading MD’s in the ancestral health community, popular PrimalCon presenter, and author (with her husband Luke) of two extremely popular books, Deep Nutrition and Food Rules. 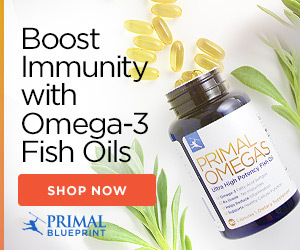 I’ve realized a pressing need for Primal Blueprint to offer such 1:1 professional consulting for many years, due to the high volume of email questions I receive on matters of health and even medical conditions at Mark’s Daily Apple. Don’t get me wrong – I love fielding reader questions in my weekly Dear Mark column. However, a significant percentage of my reader questions relate to medical matters that are not appropriate for me to answer. Turning to a “regular” doctor for support when you are committed to Primal living but struggling with certain health issues, confused about risk factors, or second-guessing your prescription drug regimen, can often be highly problematic. Particularly when it comes to the link between nutrition and health, your doctor is unlikely to be qualified to offer sensible guidance. This is a guest post from Michelle Fitzpatrick of Happy Paleo Kids. Michelle has worked with special needs children and their families for over 13 years to promote development and mental health. She adopted a “Paleo Diet” to lose weight after baby number 3, and quickly saw that the benefits of eating nutrient-rich, plant-and-animal-based foods would benefit her entire family. After applying the Paleo Philosophy to her family, she felt compelled to find a way to bring the science behind how food impacts child development to the masses. Follow her blog or keep up to date on Facebook, Twitter, and Instagram. Yes! It’s summer! School is out, the sun is shining, and the kids are… glued to the iPad? I hope not. Summer is time for busy kids to catch up on things they don’t have time for during the school year (like play). Most importantly, it is a time when days are long and the sun shines bright.